The City will award scholarships to 50 deserving HS seniors! 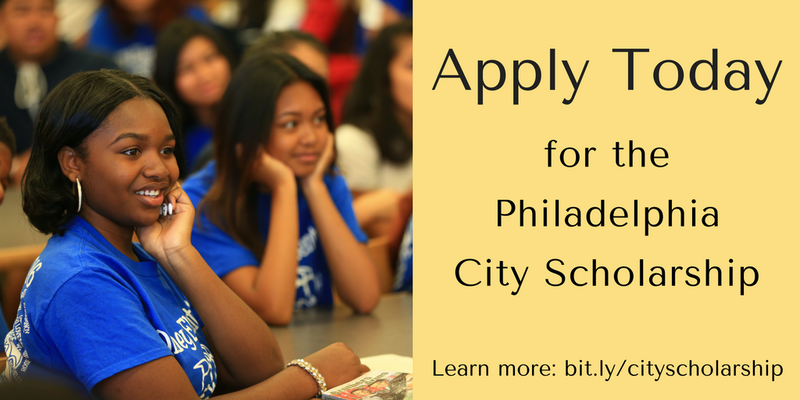 We would appreciate your help promoting the Philadelphia City Scholarship this season. The college the student attends must be in the 5 surrounding Philadelphia counties. The deadline for application submissions is February 24th. Criteria requirements and information on how to submit your application are included in the PDF. Feel free to distribute as many of these as you want! We are encouraging you to promote this on social media platforms as well as in person. Here is some sample content and an attached image. Be sure to tag @mayorsphled on Facebook and @PHL_MOE on Twitter. We Recycled 415 Trees This Year!